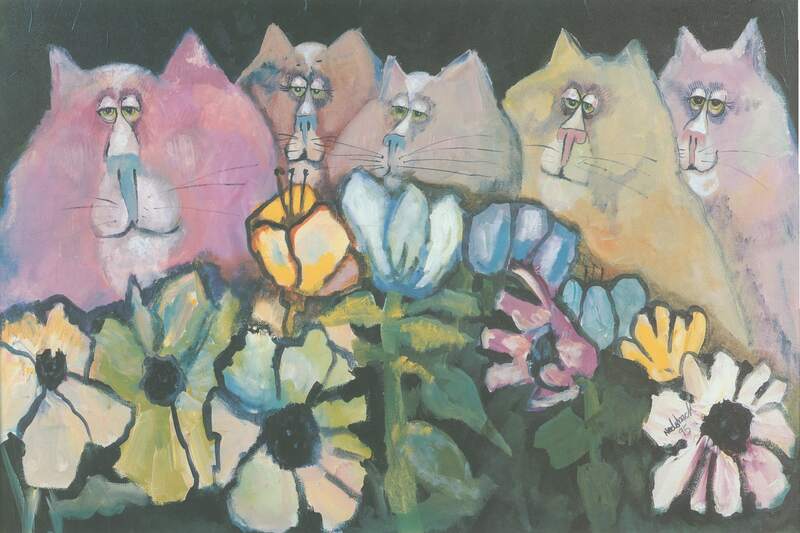 Nedobeck has been creating his fanciful felines and whimsical creatures over a span of six decades. His works grace the walls of museums, corporate collections, and homes throughout the world. Nedobeck is also the artist & author of several children's books. He is best known for "Nedobecks's Alphabet Book" revered by countless teachers, parents and grandparents as: "The best ABC Book - ever." Shop Online for more Nedobeck Art including canvas prints, Giclee prints and more at Electric Avenue Art.